This week's challenge on Bah! Humbug! is snowflakes. 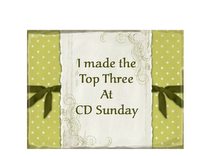 I love my ribbon so this card starts with the ribbon and I worked from there! phew been so busy this week my feet have hardly touched the ground. I only hope Mr Blogger doesn't loose my comments on people's cards like he did last week that was a nightmare. Love your entry this week - thos snowflakes are so coool looking - it's a great card. Gorgeous ribbon and fabby blue metallic snowflakes. Great card again this week Colleen. Thank you for sharing with us at Bah! Humbug!